The Secret Garden. 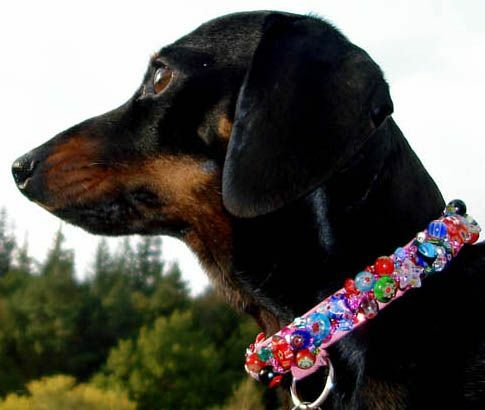 Millefiori Beaded dog collar - Holly & Lil Collars Handmade in Britain, Leather dog collars, leads & Dog harnesses. 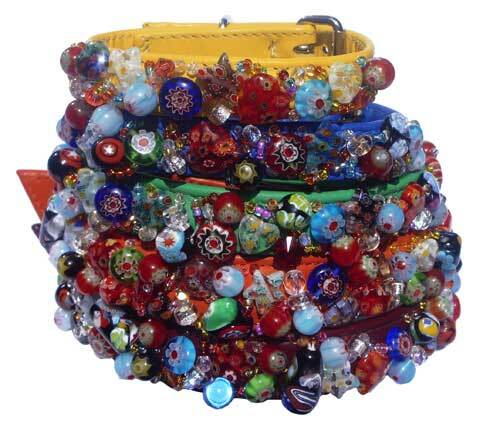 A fabulous cluster of millefiori and glass bead madness. 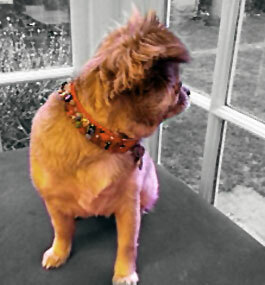 Handmade in England with the beads hand sewn on to our gorgeously supple calf leather collars. The ones pictured here are, (from the top), on Yellow, Cornflower Blue, Emerald, Orange & Mulberry - but you can have your collar sewn on any of our leather colours as a bespoke option, (which are non returnable). Just select from the drop down menu below. Please check our Size Guide very carefully, use your existing collar to get the size right and contact us with any queries. For further bespoke options like WIDE Versions or different colours, etc please email us at collars@hollyandlil.co.uk for quotation. Or call 0203 287 3024 or 0207 237 7226.